Can this vest be made longer? A: Yes, this vest can be customized. Please email us with details of your request. Our customer service team will be able to confirm details about our custom item products and pricing based on your specific customized needs! This stunning Raccoon Fur vest with collar is made using the finest quality fur pelts. Lightweight and fitted, the exceptional design includes a flip up collar, a hidden hook and eye closure and two side pockets. Create a head-turning bold look, making it easy for you to update any top in your closet into a new, fresh ensemble. 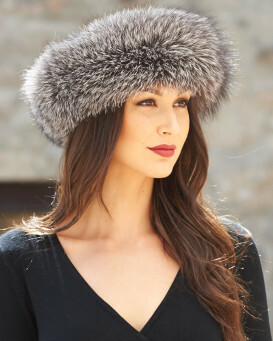 An instantly chic fur accessory! 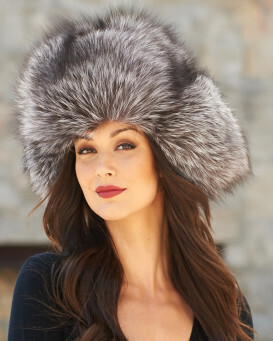 Crafted in Natural Raccoon Fur, this fur is 100% natural and unaltered. 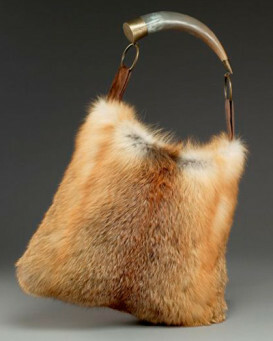 Raccoon fur offers protection with its long and full fur. "My wife loves her racoon vest and has worn it everyday since she got on Christmas. The vest is well made the fur is beautiful and it fits well. Thank you for a nice American made Santa present!" "great stuff great service. Thank you"
"I had ordered a Joie fur vest for 798.00 and was completely disappointed in the cheap appearance of it. 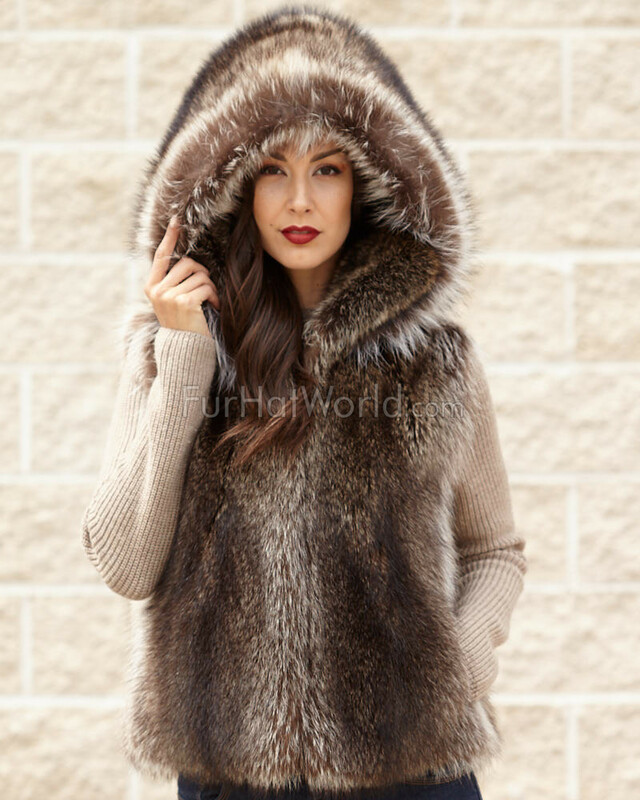 I eventually found this fur vest from FurHatWorld, ordered it and was completely thrilled with my purchase. It is a beautiful, well crafted piece. I couldn't be happier!" "I got this vest as a birthday gift for my wife. It came late from New York due to delayed production caused by hurricane Sandy. Almost cancelled the order but glad I opted to wait as upon receipt, my wife was very happy to see her vest. I saw her eyes beaming with gladness. She thought it was as extravagant item and wasn't sure if she wants to keep it until she saw the sales receipt. She happily kept it for good. Great quality made in America!" "A gift to my daughter. It is a beautiful and youthful looking vest. Very stylish indeed. Great customer service. Will order from this site again." "This vest is beautiful. It feels a little stiff but I bet that will change with time. Great look!" "Just wore it traveling cross country. 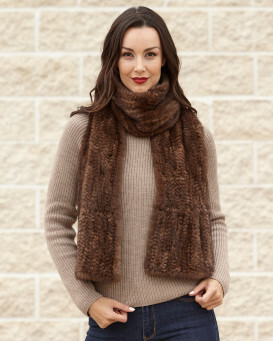 Fabulous look, warm and well priced." "ill buy this right away...ONLY IF ITS MENS VERSION, pls give us guys some choices , i have plenty of gloves already need something to wear for special occasion ! thanks"